Japanese companies once ruled the electronics industry. Nowadays, they make headlines for their problems rather than their products. In the country that invented the Walkman, celebrated brands missed out on major trends -- like the rise of the smartphone -- and got bogged down by corporate bureaucracy. Money-losing decisions and accounting scandals have multiplied. 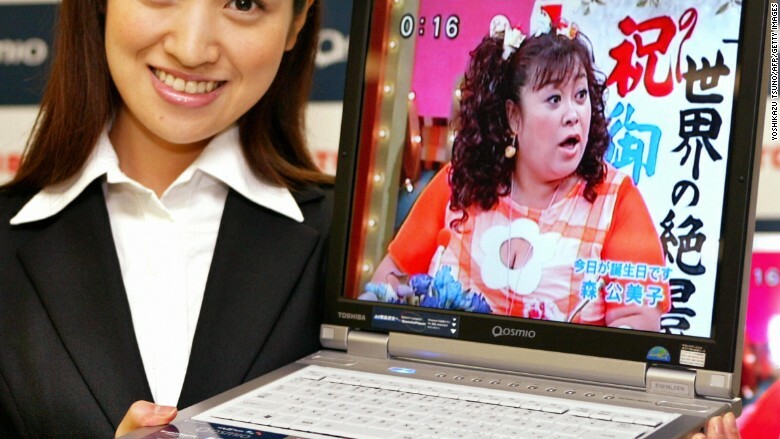 A pioneer in laptops, TVs and other household electronic goods, Toshiba has joined the ranks of struggling Japanese companies kept on life-support by banks. "Toshiba is the last zombie," said Jesper Koll, CEO of WisdomTree Investments Japan. The conglomerate lost ground to companies in China and South Korea in key industries. In response, Toshiba pivoted to other businesses, pouring money into the nuclear power industry by buying U.S. firm Westinghouse Electric. Toshiba was once known for trend setting innovations, from laptop computers to memory chips. Then the company ran into trouble with a massive accounting scandal in 2015. As it struggled to clean house, its bet on nuclear went sour. In February, Toshiba said massive delays and cost overruns at its U.S. nuclear division would blow a $6.3 billion hole in its finances. Westinghouse has filed for bankruptcy, and Toshiba has warned that its own survival is in doubt. The Japanese company's share price has more than halved in a matter of months, and it's selling off its prized memory chips business and other assets to try to stay afloat. Sharp was well known in the 1980s for high end calculators, VCRs and portable cassette players. The company bet big on LCD TVs and display panels, and for a while the move paid dividends. But then a strengthening yen and the global financial crisis sent demand plummeting. 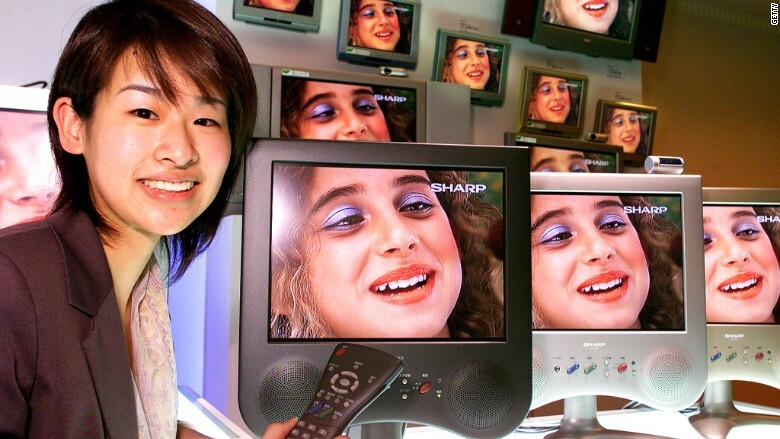 Sharp invested heavily in LCD televisions and display panels. That didn't turn out so well. Sharp teetered on the edge of bankruptcy for years, with banks bailing it out twice. It announced huge losses and slashed some 5,000 jobs from its global workforce in 2015. That doesn't sound like a lot. But it's a big number in a place like Japan where a company is often "in business to keep everybody employed," said Keith Henry, founder of Asia Strategy in Tokyo. In a humbling comedown, Sharp was bought out last year by Taiwanese electronics manufacturer Foxconn. Olympus: Saved by medical devices? Olympus started out as a producer of domestic microscopes and went on to become a leading camera maker and medical equipment supplier. But the company's shady accounting practices dragged it into a humiliating scandal. 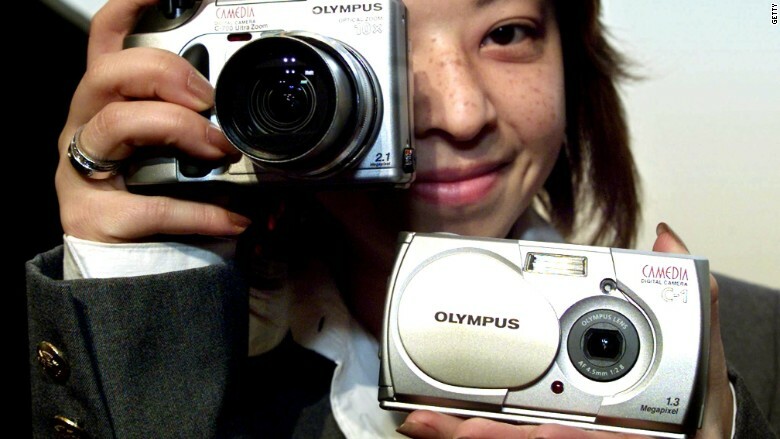 In 2011, British executive Michael Woodford became Olympus's first non-Japanese CEO and quickly discovered the company had been falsifying financial statements, hiding years of losses dating back to the 1990s. Olympus found itself in a humiliating scandal when a whistleblower focused in on the camera maker's dodgy accounting. When he began asking questions, the board abruptly fired him. But the damage was done. Woodford turned whistleblower, exposing a 13-year, $1.7 billion accounting fraud. Woodford later said Japan's culture of extreme politeness contributed to the problems at Olympus. Deference to seniors created an environment where poor management decisions went unchallenged for years. With a new team in charge, the company has made an impressive comeback. Its share price is up almost tenfold from the lows it hit in 2011, thanks to strong sales of medical devices. Sanyo was once Japan's third-largest consumer electronics maker, selling cell phone batteries and home appliances. The company was a global household name, occupying premium real estate at one of London's top tourist spots, Piccadilly Circus, where it started advertising on a giant neon sign in 1978. 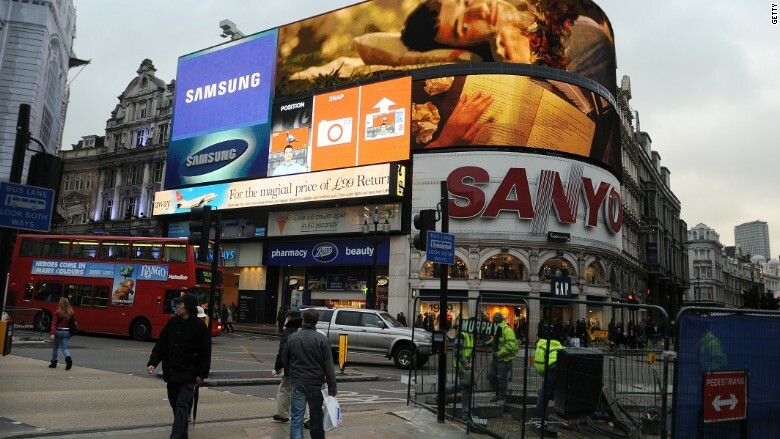 Sanyo once held court over one of London's premium tourist spots. By the 2000s, the company was facing a prolonged shakeout, grappling with competition from China and South Korea. The strength of the yen also made Japanese exports more expensive, putting pressure on manufacturers to merge. Sure enough, Panasonic (PCRFF) took over Sanyo in 2009. That 340-square-foot neon sign in Piccadilly Circus, like the company itself, eventually fell victim to technological change. Sanyo was told to replace it with a modern LED display, which allows for moving images. The company said it "didn't feel the need to change it for economic reasons." Sanyo's sign went dark in 2011.